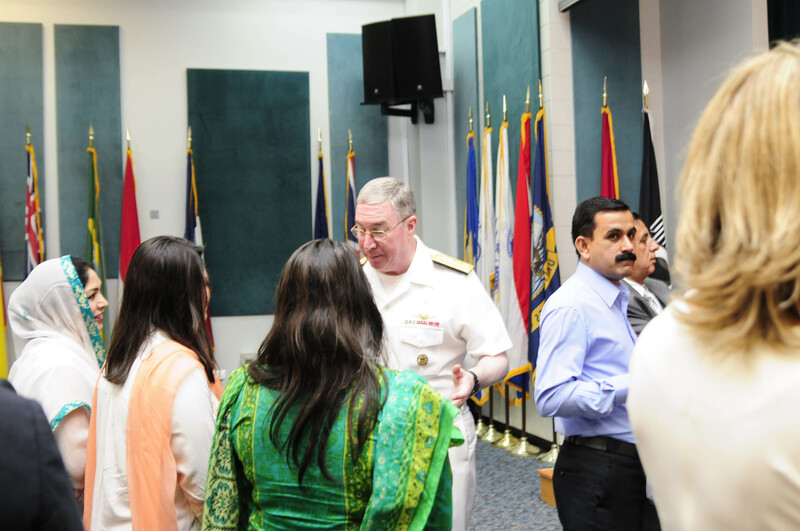 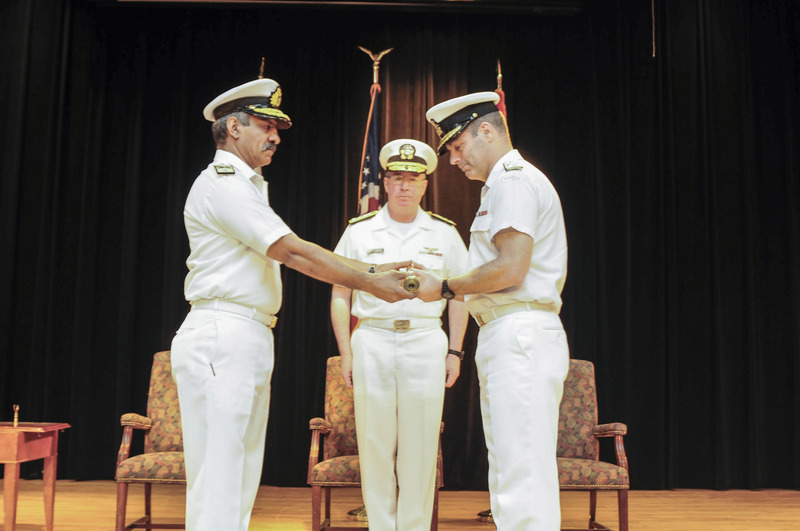 Commodore Brian Santarpia of the Royal Canadian Navy has assumed command of the Combined Maritime Forces (CMF) counter-terrorism Task Force from Commodore Sajid Mahmood SI(M), Pakistan Navy, at a ceremony in Bahrain on 4 December 2014. 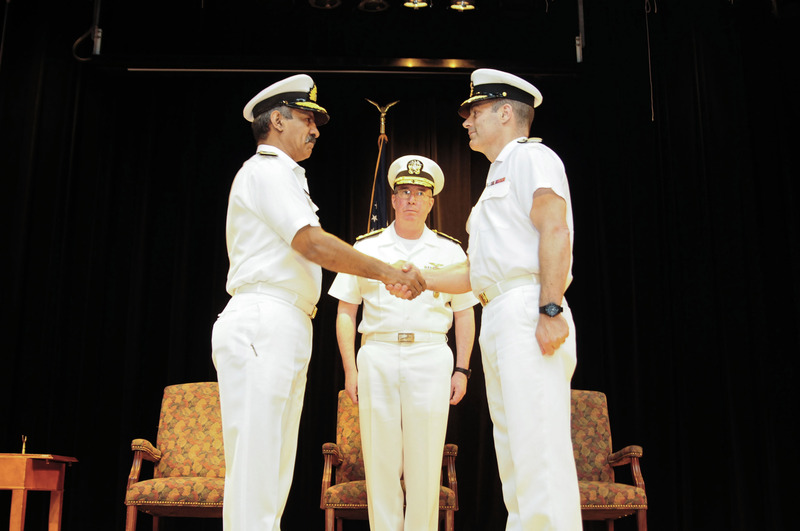 The ceremony marked Canada’s second command of Combined Task Force 150 (CTF-150). 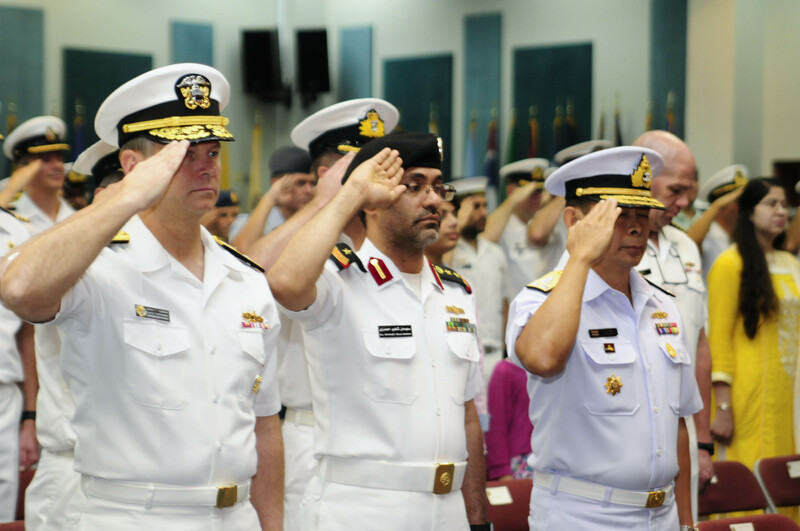 In a scale not seen before in CMF, Canada, which has deployed 24 staff to Bahrain, is sharing command of CTF-150 with Australia, who will provide the Chief of Staff and 6 other key staff to ensure a truly joint headquarters staff. 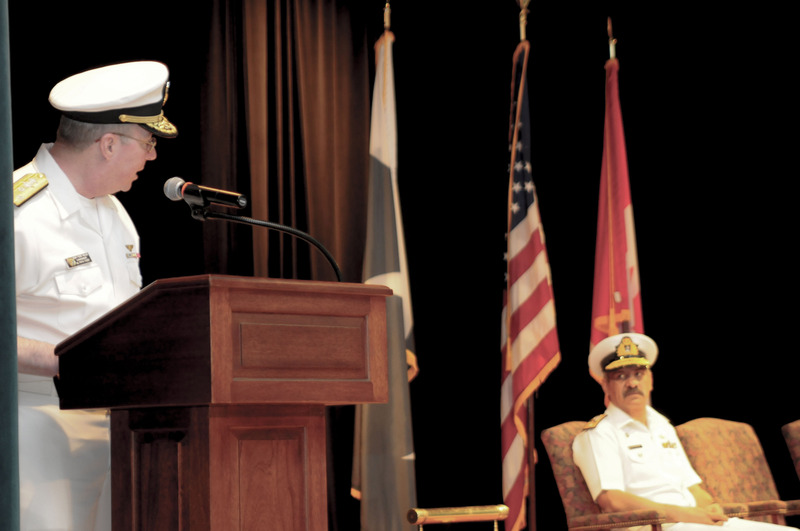 Commodore Santarpia thanked Commodore Sajid for his commitment in providing a seamless and orderly transition and noted how important the work of CTF-150 is in denying international terrorists the use of the seas to exploit or attack those using the seas for legitimate purposes or to illegally transfer people, weapons, or other illicit material.